South Lake Tahoe’s Hard Rock Café, inside Harveys Casino, adopts a guise of a rock star’s upscale log cabin. 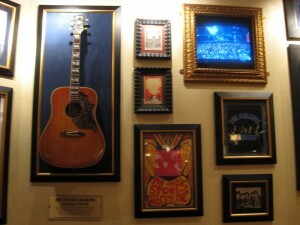 Amidst the pine walls and lantern-style lighting, are showcased guitars, records, photographs and even clothing of history’s rock legends. Have a seat at the triangular bar, equipped with 18 video poker machines, for a Sunday football game paired with a custom-made Bloody Mary, or join Hard Rock for their unswerving dinner menu of palatable appetizers, salads, pastas, steaks and burgers. 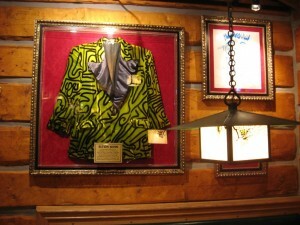 Whether you are pinned next to one of Elton John’s atypical stage jackets or Keith Richards’ guitar, you are bound to have a rocking good time at Lake Tahoe’s Hard Rock. Sunday Football games from 10 a.m. – 3 p.m.